BTC Farming was founded on the belief and trust in the solid benefits of bitcoin. Having been active in bitcoin mining before the worldwide craze, we have been consistently pushing the limits of mining. Our years of experience has gained us invaluable knowledge and insight that are essential for successful and optimum bitcoin mining. Our story begins from the time when graphics processing units (GPUs) were used to mine bitcoins. The GPU mining era brought an incredible increase in the efficiency of bitcoin mining, and was one of the most profitable periods in terms of bitcoins mined. As the mining difficulty rose and the hardware improved and advanced, so did BTC Farming’s mining technology. BTC Farming is constantly on the lookout for the latest mining hardware. 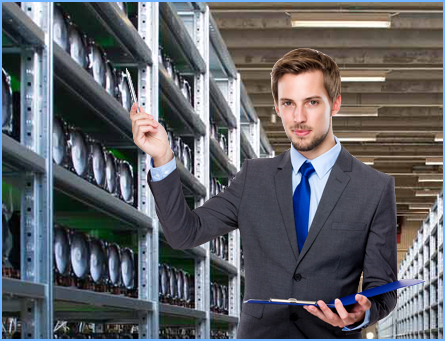 We utilize only the fastest and most efficient professional miners in the industry. Currently, our hardware consists of powerful mining equipment that is more than capable of creating a positive return in the current bitcoin difficulty rate. BTC Farming is fully aware of the increasing difficulty level and the recent halving. To combat the unavoidable situation and ensure the continuity of efficient bitcoin mining, we have set up virtual mining centres in several locations. Establishing mining centres in multiple areas greatly enhances BTC Farming’s mining operation. Such a large scale operation allows us to maximize the efficacy of our mining process as it lowers our electricity usage and maintenance costs while optimizing the cooling system. At BTC Farming, we are constantly improving the performance of our mining systems and reducing our operation costs. As one of the leading bitcoin mining companies in the industry, our goal is to deliver greater computing power and higher bitcoin returns to our members.